Centerville-Washington History was founded in 1966. The beautiful home of William and Miriam Walton (c.1838) became our first museum in 1971. The Walton House Museum features exhibits throughout the year showcasing artifacts and relics of our local history. Travel in time from the 1800's to the 1930's as you explore the rooms. In the backyard are beautiful summer gardens and a chicken house which is used for educational tours. The Walton House Museum is open to the public Tuesday - Friday from 12pm to 4pm and is the location of the administrative office for Centerville-Washington History. See: William Walton, Miriam Walton, and Walton House. The Aaron Nutt Cottage was bequeathed to Centerville-Washington History in July 2004. The stone house built around 1814 now functions as the Aaron Nutt Cottage Resource Center and serves as the library and collections and archives repository for Centerville-Washington History. This museum features a research and reading room for those using our local history and genealogy files and is also the Curator's office. The Aaron Nutt Resource Center is open to the public Tuesday - Friday from 12pm to 4pm. 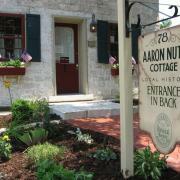 See: Aaron Nutt and Aaron Nutt House. The Asahel Wright Museum features exhibits throughout the year showcasing artifacts and relics of our local history. The original stone portion of the building dates to 1806 and the property was once owned by the great-uncle of the Wright brothers. The Schoolhouse Museum is housed in the front buillding as a replica one-room schoolhouse filled with school desks, artifacts, and an array of photographs of our historic nine one-room schools. School is in session during the Summer Youth Workshops and for school tours. The museum is open Tuesday - Friday from 12pm until 4pm. 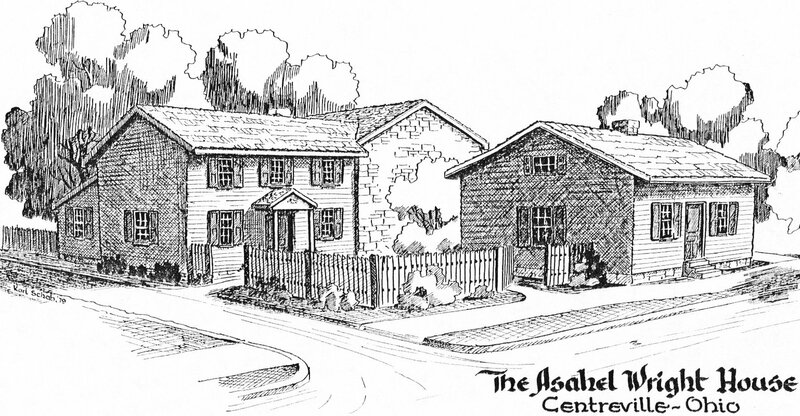 The Asahel Wright Museum also houses the offices of the Education Coordinator and the Bookkeeper/Newsletter Editor. See: Asahel Wright and Asahel Wright House.